If we are Biblical Counselors we all agree that prayer has a role in Biblical Counseling. However, if you are like me, sometimes it is relegated to the role of opening, or closing a session of counseling and possibly throwing up a prayer when you know you are really in trouble as a counselor. There is nothing wrong with praying to open and/or close a counseling session and we have all prayed the “God help me know what to do here” prayers. I have found over time, however, that if this is the only role that prayer plays in my counseling, there will be negative consequences and an overall lack of power in the counsel I give. Here are some thoughts on the role that prayer should play in our counseling. If you are a human being, and not Jesus himself, you need prayer. There are sins to confess. Anxieties to “cast on him.” Things that scare you. Pride that its hidden. False motives to be exposed. Fear of man issues. Fatigue. Our busy mindedness. These are just to name a few. If we do not have a healthy thriving prayer life, we will not give prayer the proper role in our counseling. I have found over time that when I am not praying for counselees, I am trying to fix them on my own. This leads to lack of power, pride, or anxiety. Lack of Power: If we are not taping into, and relying on the supernatural power of the Spirit, we are trying to fix people with our techniques, wisdom, and experience. We also start to see a pattern of not knowing what to say, not understanding what others are saying, and a lack of lasting fruit. Pride: Sometimes (often) the Spirit works in spite of us and does a work in the lives of those we are trying to help even if we are not praying for the power of God to do the work. If this happens, and we are not praying for our counselees, we are tempted to become prideful and think that we did something to bring about change. God help us if we try and take credit for what only God can do. There are at least 3 occasions in which prayer during the counseling session is helpful. All 3, and any more that we can think of, show the importance to our counselee, and remind us of the same. Opening: When we open a counseling session with prayer, we set a foundation for the session and send a message to the counselee that we recognize that the Wonderful Counselor is the one whom we need to hear from during the next 60-90 minutes. 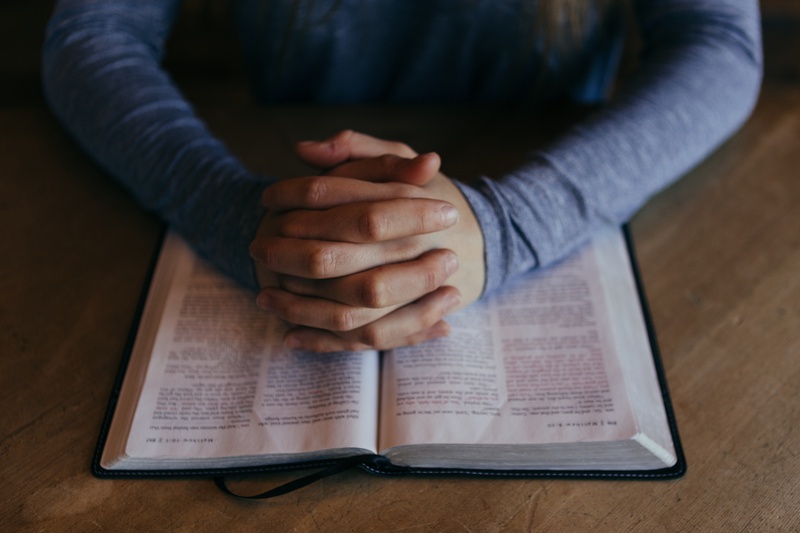 During: There are many occasions in which praying out loud during the session might be helpful, but in particular, when we are stuck, struggling, or having trouble understanding something is a great time to stop, and pray. This does a number of things to benefit our counsel and counselee. It communicates what we should do as believers when we are stuck and in need of power and wisdom. It shows were wisdom and power come from. It can change the course of our conversation as the power of God is invited into the discussion afresh. Conclusion: When we end our session in prayer it reminds every one in the room that any insight that comes from the time together and the homework is the work of God. This also helps everyone remember that the time together in the counseling room is actually not the most important time of the cousnelees life. Their time spent in the word, prayer, community, and mission during the week will have more long lasting ramifications for them than anything we say in the counseling room. There is an account in the book of Nehemiah where Nehemiah is about to request of King Artaxerxes the time to go and rebuild the wall in Jerusalem. In between the King asking him why he was sad and what his request was, and the actual request of Nehemiah, we read in 2:4, “So I prayed to God in heaven.” This is a quick, silent, cry of help to God. This can and should be happening as we try and help others, with anything! We are in desperate need of the power of God in each and every conversation, particularly when we are trying to help someone. Let’s make sure that we are not relegating prayer to the role of opening and closing our counseling. Beautiful piece and very insightful. I have learnt something. God bless.